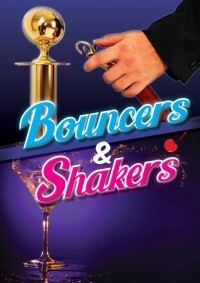 Huge congratulations to the cast and crew of our most recent production, Bouncers & Shakers. We have received lots of very complimentary reports on the quality of the performance and our audiences clearly enjoyed themselves! As always, a massive amount of hard work went into the success of the show; from cast, production crew and our dedicated FoH teams, so thank you all! The 60th AGM of the Playhouse Company will take place in just over a week, on Tuesday 9th April 2019. 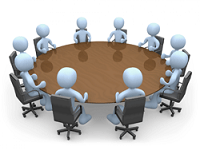 Your AGM is an excellent opportunity to look back on the last 12 months, discuss topics raised and to elect your committee for the next 12 months. If you are an existing member, you should have received your official invitation on 23rd March 2019 with all the details, including a call for any constitutional changes or nominations for committee positions. Please contact Ben Lowater (Secretary) if you wish to put yourself forward for one of the committee vacancies. Remember: you must be a current member to attend, so if your membership has lapsed you will be required to pay your membership fee at the door. Despite a lot of new interest from outside our usual membership and significant efforts by those involved, we were unfortunately unable to cast our intended June production due to insufficient numbers. The committee attempted to postpone the play until 2020. However, upon contacting Samuel French to rearrange the production we learned that the rights had since been revoked for any amateur productions post our original dates, which has forced us to put the project on hold indefinitely. Due to these circumstances and the limited remaining timeframe, we have decided to forgo a main stage production in June, opting instead to run a series of smaller scale events in the interim and make good on our promise to deliver more activities for the membership. Details of which we hope to be able to share at the upcoming AGM.